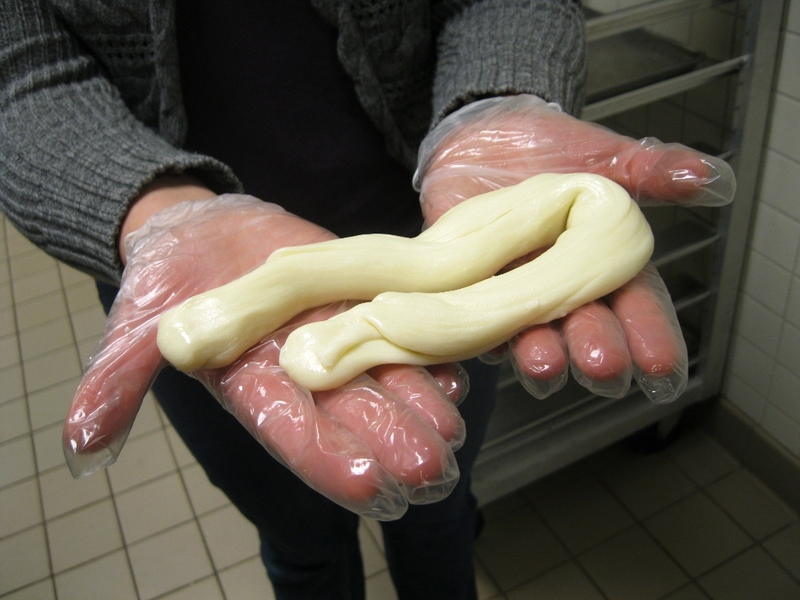 Turns out making cheese – soft kinds, at least – is not actually all that hard. 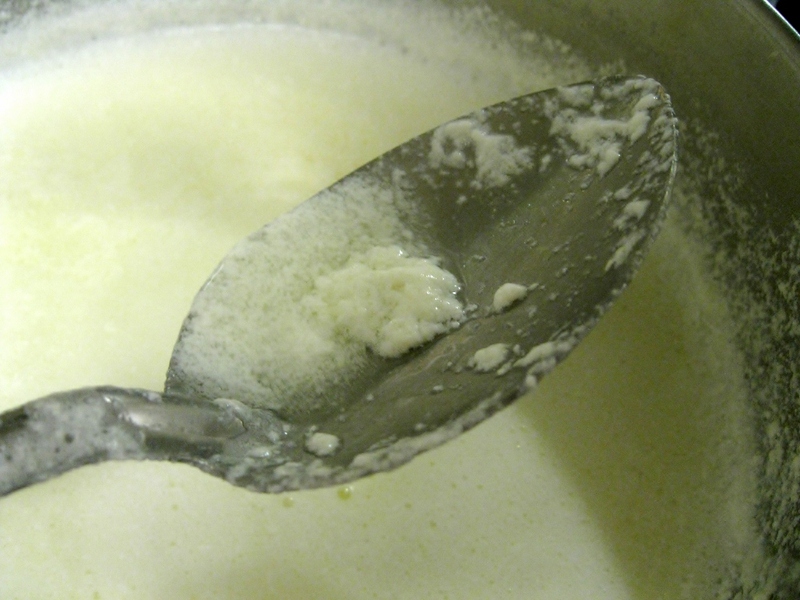 Citric acid being stirred into a pot full of ordinary whole milk. 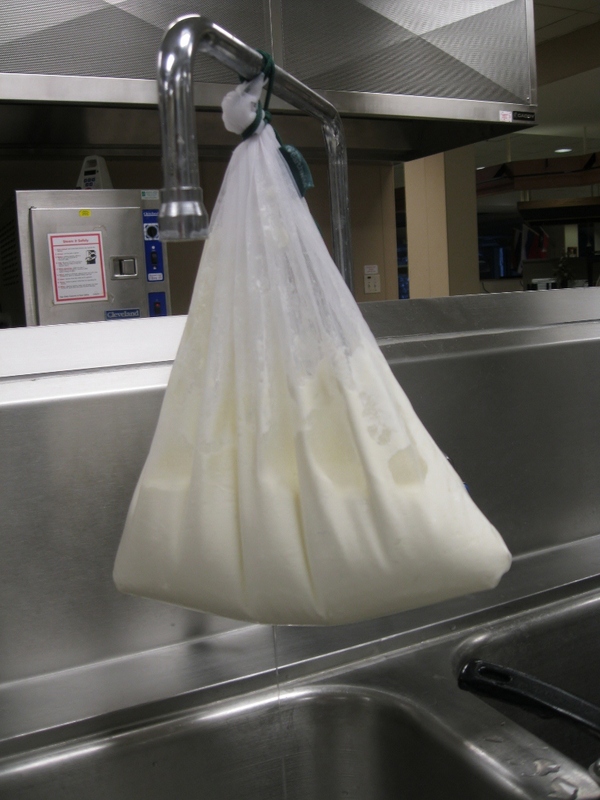 Curds, transferred to a cheesecloth and hanging over a sink to drain. Ta-da! Ricotta! I had to leave before the ricotta was done draining, but someone else ended up with this beautiful chunk of mozzarella. I meant to also take a photo of the cheesy bread we made for dinner, with its bubbling layer of fresh mozzarella, but it was so tasty that we ate it all before I remembered. Oops. I can’t imagine making all the cheese I ever eat myself, but trying it out to see the work that’s involved is a good reminder of all the effort and resources that go into things we casually toss into our grocery cart. 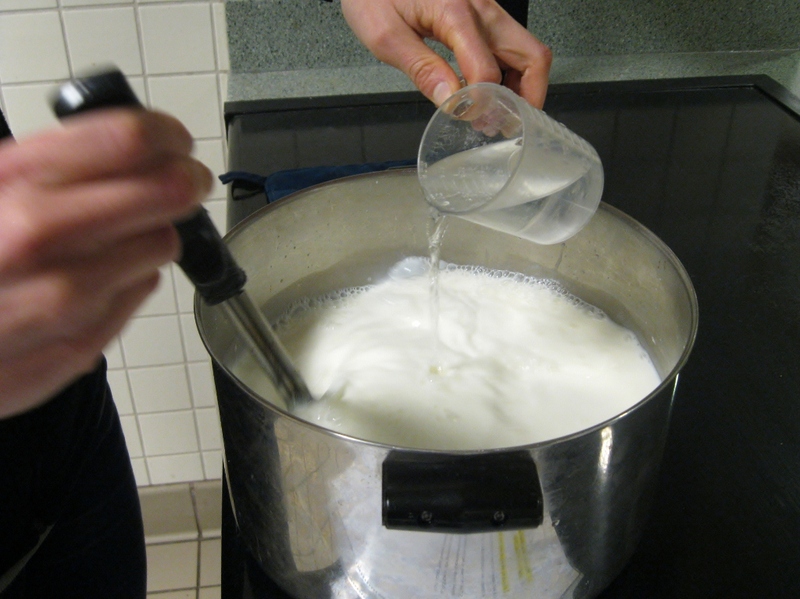 Have you ever made cheese from scratch? Do you agree with me that this is a perfectly relevant thing to be writing about on a nature blog? Or do you wish I’d get back to birds and bugs? It’s your blog, you can write about anything that interests you! I do think that this post was relevant, and the quote from Aldo Leopold is one of my favorites. Bought my wife a “Home Cheese Making” book and a bunch of related supplies for Christmas a few years ago. She was expecting a big-screen TV. She was not amused. I make cheese al the time, it is natural to write what you want on your blog. i made some paneer (sometimes referred to as Indian “cottage cheese”) which was super easy but i couldn’t get it to taste nearly as good as the paneer from my favorite local Indian restaurant in KC (of course, my chana masala wasn’t as good either), but it was fun, and chock full o’ science, right? so it fits in perfect with your blog. Michelle and quiscalus: I LOVE saag paneer, but I’ve never made it at home. I’ll have to try it. Rebecca, it’s so easy. Really. Try the recipe I posted.